As always, there’s so much going on here with projects that are in the works already and in the planning stages as well. Part of being a long term thinker is knowing that some things take a long time to come about, and that can be a good thing if you remember to be patient and persistent. Time is involved in making art of any kind–time getting the bits and pieces collected, the tools and skills readied, time spent thinking and planning, time when the work itself done. We’re celebrating the completion of the book A Collection Of Polymer Clay Masks, and stepping up the time allotted to working on the next books. 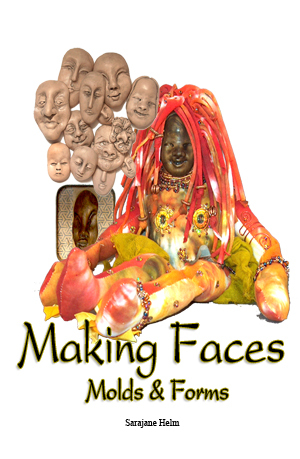 That includes a novel and the how-to book Making Faces, Molds, and Forms. 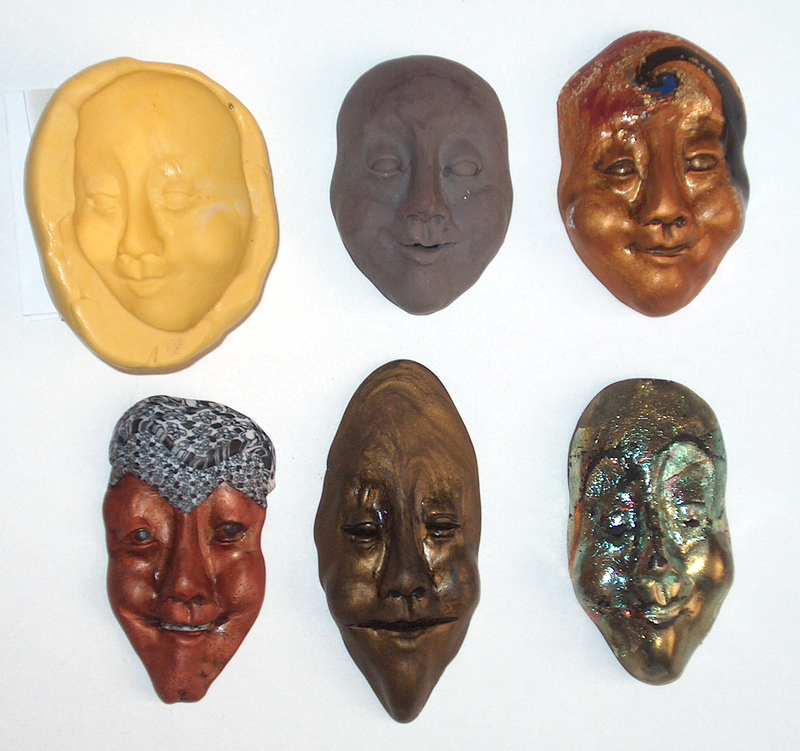 I’ll also be an instructor at the 4th Annual Cabin Fever Clay Fest in Laurel, MD this February 18-23, with a class in sculpting original faces & making silicon molds. Then we’ll not only go over a wide array of decorative ways to use the mold, I will demonstrate how to use hydro-shrink to create versions of the originals reduced in scale without loss of detail! I’m also teaching a series of four polymer clay classes at the Front Range Community College at the Boulder County Campus. It is part of their Continuing Education classes, and you can read all about it and register here. 1 comment to Coming Right Up! Come join us for our 6th Annual Orlando Clay Fandango! Our theme this year is Hidden Treasures. We are exploring the Hidden Treasures of Polymer Clay with Christi Friesen, Maureen Carlson and Penni Jo Couch. Christi Friesen will work her magic with polymer clay and resin in her creative waterfall project. Maureen Carlson will take you on an adventure into storyland and help you create your own story necklace using polymer clay and alcohol inks. Penni Jo Couch will take you into the world of stitches and flourishes, molding forms and buttons and iron-on glass jewels to create your very own polymer clay sampler. There will be demos with Linda Hess, Kathleen Davis and Nancy Welch throughout the day and evening as they share their secrets and talents with all the attendees. Vendors will be available for sales. All the attendees can sign up and sell their creations in the boutique. The treasure trove of activities will include a live auction on Saturday of all the donated items from various artists, a hidden treasure box competition—so start planning your secret boxes now, a matchbox treasure swap, and our Bottles of Hope contests, just to name a few. The retreat will be held at Lake Yale, Leesburg, FL. The dates are May 19-23, 2011. Click here to sign up today! Or visit our webpage at http://www.oapcguild.com/retreat.htm. Don’t wait too long, space is limited!